In preparation for expanding recreational and medical markets, Organigram is seeking to add a chief scientific officer to its executive team. This role, reporting to the CEO, will eventually lead a team of four to eight people. The chief scientific officer will be responsible for overseeing internal and external research projects, developing new processes and technology, and creating recommendations for new product lines. Organigram is looking for candidates who have a PhD in biochemistry, biology, or chemistry and at least 10 years of management experience. Specific knowledge of the cannabis plant and cannabinoids would be ideal. Budgeting and mentorship skills are also vital in this role. Organigram, based in Moncton, New Brunswick, is a rapidly growing company. The team is 300 members strong, and it will likely grow to more than 400 members by mid-August. Though large, the company focuses on keeping its staff highly engaged and educated on the changing cannabis industry. The chief scientific officer role comes with a robust benefits package, including stock options and a RRSP. As an ecommerce business, Canopy Growth requires a strong IT infrastructure. The company is adding the manager of IT engineering role to bolster its already solid IT team in Smiths Falls or Kanata. The person in this role will plan and manage a broad range of projects by overseeing a team and handling independent work. The company is seeking a candidate with a bachelor’s degree in computer science, engineering, or information security and five or more years of experience managing an engineering team. Beyond the technical requirements, Canopy Growth is looking for an individual that fits with the company’s culture. The right fit for the job will have a passion for the industry, embrace hard work, and be capable of injecting levity into the long hours and serious work done at the company. Hiring for cultural fit as well as experience allows the company to scale up quickly while maintaining the desired company culture. Canopy Growth, headquartered in Smith Falls, Ontario, offers its employees comprehensive benefits including three weeks of vacation, health benefits (including a health spending account), dental insurance, vision insurance, and stock options. Cresco Labs, headquartered in Chicago, has open positions for a cultivation agent at its Lincoln, IL location and its Brookville, PA location. 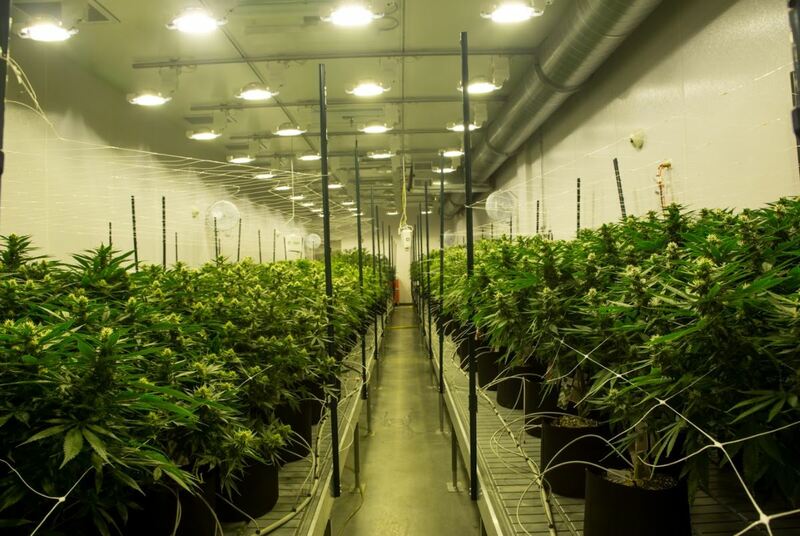 The cultivation agent will help support the company as it expands its grow rooms. Cresco Labs’ ideal candidate will have a two-year degree in horticulture and two years of experience working in a garden role. The role requires an active person who doesn’t mind getting their hands in the mud, lifting equipment, and spending the day sitting, standing, and kneeling. Of course, a passion for the plant will stand out to the company. Working at Cresco Labs comes with a number of benefits. Employees have medical, dental, and vision insurance, access to the company’s 401k program, and paid time off. People who have been with the company for more than a year can take advantage of the maternity and paternity leave policy – a benefit not all companies offer. In addition to these benefits, the company strives to maintain a team culture. The company is at 172 employees and growing rapidly, but everyone on the team is welcome to share their thoughts on how the company can learn and grow. Hiku Brands has a dynamic portfolio of companies including Tokyo Smoke, DOJA, and Van der Pop. The company is looking to fill the role of corporate controller on its finance team in Toronto. The person in this role will take charge of the company’s financial reporting, provide due diligence support on acquisitions, and lead a team of about six people. This role reports and works directly with the CFO of the company. The role requires a bachelor’s degree in accounting and a minimum of five years’ experience working as a corporate controller or public accounting manager. Hiku Brands is looking for candidates who will excel in a dynamic role that requires juggling multiple responsibilities. The company’s team is driven by a passion for the industry and a commitment to an entrepreneurial culture. Hiku Brands offers a full benefits package including health, dental, and vision insurance and vacation days. Employees also have the flexibility of work from home days and the option to take advantage of stock options. In this installment of our jobs features series, we are profiling careers from leading companies that are also clients of New Cannabis Ventures. If you know a company that is aggressively hiring in the cannabis industry and want to seem profiled for this series, please let us know.